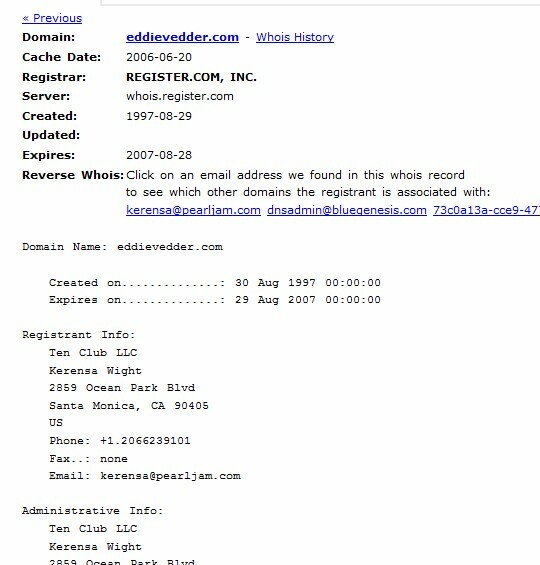 Eddie Vedder, the lead singer of the alternative rock band Pearl Jam, wants the web address eddievedder.com. A complaint (WIPO Case Number: D2012-0035) was filed this week with the World Intellectual Property Organization over the domain name. What’s interesting about this case is that according to WHOIS records, Pearl Jam owned the domain name back in the mid-2000s up through late 2010, when the name switched over to Whois privacy. EV Touring, Inc., which also owns the trademark on Eddie Vedder, is the complainant in the domain dispute. At the time of this posting, the domain does not resolve to a web page. 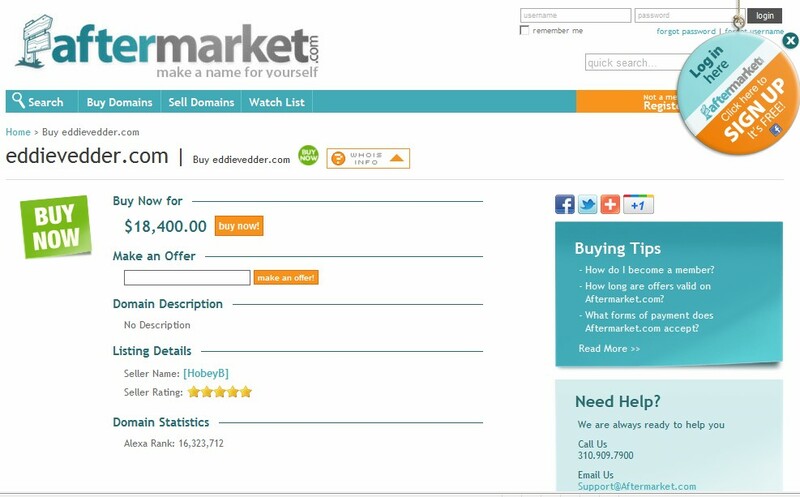 A user who goes by the name hobeyb on the website Aftermarket, an online marketplace for domains, has the web address listed for sale for $18,400. While this type of filing might seem like an open-and-shut case in favor of the complainant, it doesn’t always end up that way. In September, Lady Gaga lost her dispute over LadyGaga.org. Given the circumstances of the Eddie Vedder trademark and that the current domain owner is apparently trying to benefit from the sale of the name, in a few short weeks, this name could be in the possession of the Pearl Jam lead singer. Stay tuned here for updates on how it all goes. I will update this post when a decision is issued by the WIPO Panel.